"Wouldn't buildings be better designed by people who lived in the city where they practiced?" Opinion: municipal architects helped create some of 20th-century Europe's best cityscapes and buildings, says Owen Hatherley. It's time for them to return. Around a year ago, the head of the architects department of the London Borough of Ealing showed me around the recent buildings he'd designed. Most of them were young people's centres. The most recent of these was called Westside, and it sat in the middle of a picturesque street in this Queen of the Suburbs, the late Victorian rectitude of which was followed by the building itself, carefully kept to the same scale as the Victorian houses all around. With its slightly cranked brick facade, it was very much in the current New London Vernacular. A remarkable amount of stuff was crammed inside around a tight atrium – an advice bureau, a gym, a recording studio, computer rooms, a padded and brightly coloured room for young people with sensory problems, and much else. At the back, where the house would have its garden, was a sports hall, with a DJ booth so it could be converted for parties. The borough architect, Gavin Leonard, and two volunteers took me round it. The volunteers had both been recruited after being regular users of the building and the three of them obviously knew each other well, which you only get if the architect lives and works in the area. They pointed out the many strange things they'd fitted into a building the size of a house, but only the architect was keen to add that it had been designed using Soviet constructivist architect Moisei Ginzburg's flowcharts of the Functional Method, developed in 1920s Moscow. The building was one of the most memorable I've seen in London in recent years, using its straitened budget to design a real "social condenser", not a piece of Soviet or Brutalist nostalgia, while quietly using the same architectural language as the average contemporary London building. A couple of months ago I received an email saying that Leonard had lost his job, and the position of borough architect in the London Borough of Ealing no longer existed. I couldn't help thinking of Westside, and the fate of its architect, when reading the obituaries this month for Norman Engleback, one of the leading architects of the London County Council (LCC) Architects Department, once one of the largest and most important architectural offices on the planet. Engleback was the head of the team that produced the Southbank Centre, the fiercely Brutalist ensemble of the Queen Elizabeth Hall, the Purcell Room and the Hayward Gallery. Because many of the other architects of the scheme – Ron Herron, Warren Chalk, Dennis Crompton – went on to be members of Archigram, the buildings are often credited to them. But they've always pointed out that Engleback fought their corner against the head of the LCC architects department at the time, Hubert Bennett, who was nervous about the deliberately discordant, aggressive, geological design. In his career at the LCC Engleback also designed the Crystal Palace National Sports Centre, a building of genuine grandeur and sublimity. Two hugely important public buildings in a capital city is more than most architects could wish for in their lives, and Engleback achieved this not in private practice on the free market, but as the employee of local government, like a schoolteacher or a cleaner. So what happened to the municipal architecture department, the group of designers gainfully employed by a city council, a town or a borough? Most of the "errors of the 1960s" can't be laid at their door, as system-building was usually contracted out, an ancestor of Britain's culture of "compulsory tender". Britain had an unusually diverse experience with municipal architecture. From its beginnings designing the Boundary Estate in Shoreditch, an informal, unusually metropolitan piece of Arts and Crafts architecture, to its peak in the 1950s and 1960s, the LCC Architects Dept was restlessly creative, and changed the face of architecture in the UK at least three times. First, when Leslie Martin and a group of young Modernists took it over in the 1940s – one of their first products was the Royal Festival Hall; second, when the Alton Estate in Roehampton saw a showdown between Brutalists and Empricists, lending itself to an influential architectural myth; and third, when the architects department itself blocked the council's plan to bulldoze most of Covent Garden. Individual boroughs, like Lambeth under Ted Hollamby or Camden under Sidney Cook, also achieved extraordinary things. And it's hardly just London – Sheffield under JL Womersley, Coventry under Arthur Ling, and most recently, Hampshire under Colin Stansfield-Smith, created work of similar quality and lasting influence. Pretty much every city in Britain had at one point a large department that would design most of the schools, housing, medical centres, parks and leisure facilities in the town, and dole out the rest to architects they admired. It's a hugely impressive legacy, and one which is only just starting to be properly appreciated, via films like Utopia London and blogs like Municipal Dreams. Unfortunately, its celebration takes place mostly in its absence. The institution of the municipal architecture department has been similarly important in continental Europe, with famous names like Ernst May (Frankfurt) and JJP Oud (Rotterdam), and lesser lights like Mikhail Posokhin (Moscow) and Hubert Gessner (Vienna) creating remarkable cityscapes while working more as bureaucrats than artists. Like other aspects of social democracy, this continues in a residual form in much of continental Europe. It now largely serves a regulatory function, ensuring that new housing in, say, Hamburg or Amsterdam is never as grossly inept and careless as it mostly is in, say, Liverpool or Edinburgh. In the UK, an ideological shift and subsequent budget cuts put paid to most municipal architecture departments. 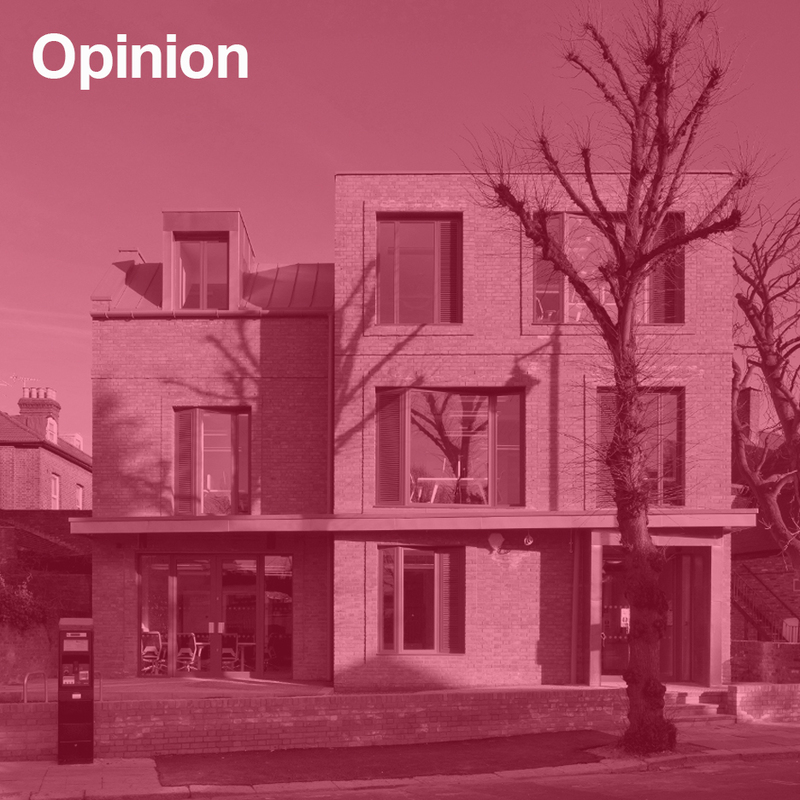 The idea of the municipal architect is now being adopted for the first time elsewhere. Seoul appointed its first City Architect in 2014. Even one or two British councils, like the London Borough of Croydon, are trying to piece an architects department together anew. It's easy to see why, as it's a simple and obvious idea. Wouldn't urban buildings and public spaces be more considered, more coherent, and treated with greater care, if they were designed by people whose allegiance was to the democratically elected local authority, and who lived in and worked in the city where they practiced?